Eagle Bank wanted something special to enhance the domed ceiling waiting area of their Park Potomac Branch Office. 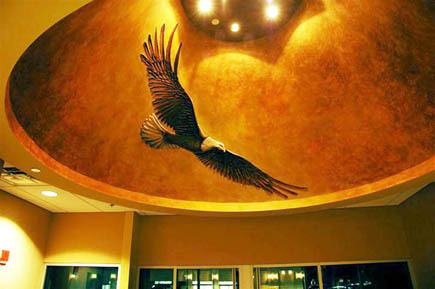 ATS Studios' solution was to create a three-dimensional sculptured plaster mural using a wet-carved technique. 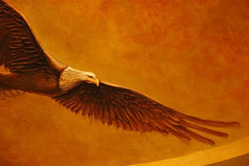 To further enhance the effect, the background was finished with a blend of venitian plasters and waxes. 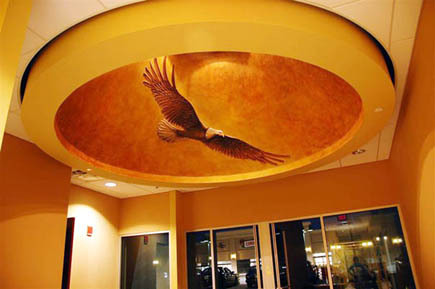 The finished artwork is stunning and truly a must-see project.